MUSEUMS ARE STIMULATING, INFORMAL AND SOCIAL SPACES which promote discussion, debate and performance. They provide opportunities for students to experiment with ideas and to develop creative and innovative thinking, to engage with unique cultural resources and to gain skills and employment experience. Through involvement in museums and museum-related public programmes, students are able to develop a wide range of transferable real-world employability skills: self discipline, confidence, project management, team working and communications. Furthermore, public events and exhibitions provide opportunities for students to develop their subject-specialist skills and gain experience directly relevant to employment in the wider academic, cultural and creative sectors. 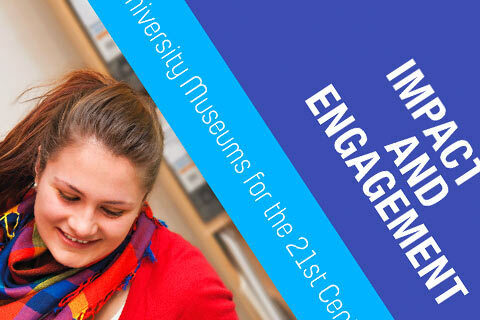 Such projects offer students the chance to take the lead in engaging the public with their subject matter and research and to consider how their studies can impact on and benefit the wider community, while at the same time, museum visitors benefit from students’ energy and fresh perspective.